With a career spanning over 40 years, Conley is one of the UK’s best loved personalities and fresh from his recent appearance on BBC One’s Strictly Come Dancing 2017, Still The Greatest Entertainer – In His Price Range will see him entertaining audiences with a mix of music and comedy, including some of his best-known and much loved characters, such as Dangerous Brian and Nick Frisby (“It’s a Puppet!”), as well as paying tribute to the many West End Musicals he’s starred in – including Me and My Girl, Hairspray, Oliver, The Music Man and Barnum. Conley will also be welcoming back guest act Mat Ricardo, the gentleman juggler. Mat is one of the most unique variety performers in the country, both hilarious and astonishing, and he returns to support the 2018 UK Tour. As well as touring the length and breadth of the UK, Conley has recently recorded an exciting new television series called Buy It Now for Channel 4. 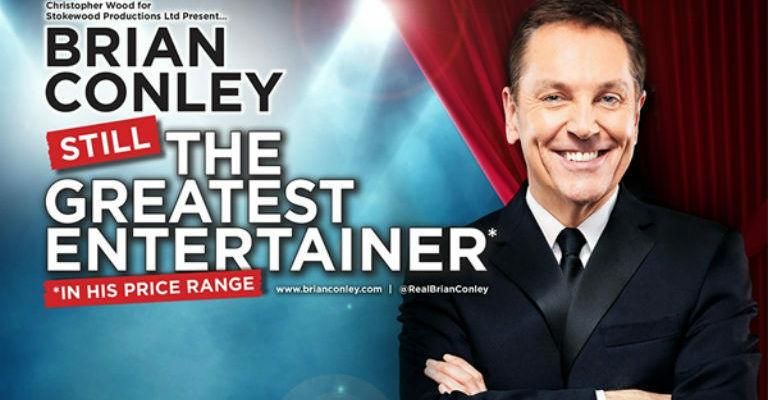 Brian Conley’s extensive career spans television, stage and film, his break out in television came in 1992 when ITV commissioned the hugely successful The Brian Conley Show, which went on to become Britain’s most-watched entertainment show at the time, coining his famous catchphrase ‘It’s a puppet!’. Conley’s television career has seen him win multiple awards including a National Television Award for Most Popular Television Performer. He has presented the Royal Variety Performance eight times, and recently hosted two series of BBC One’s The TV That Made Me. As a comedy actor his television work includes The Grimleys (ITV) and two series of the British Comedy Award winning Time After Time (ITV), he has also been in Last of the Summer Wine (BBC) and Baker Street (ITV), and on film he has appeared in Equilibrium, Arthur’s Dyke and Hotel! Conley has worked extensively on stage throughout his career where his West End theatre credits include Hairspray (Shaftesbury Theatre and UK Tour), Chitty Chitty Bang Bang (London Palladium), Me and My Girl (Adelphi Theatre) and Jolson (Victoria Palace Theatre), he also starred in The Music Man at Chichester Festival Theatre. His many UK Tour credits include Alive and Dangerous, Barnum, Oliver and The Play What I Wrote, as well as his own tours including The Real Life of Brian Conley and An Evening With Brian Conley. He recently starred in his thirty-fifth pantomime and has recorded three albums. 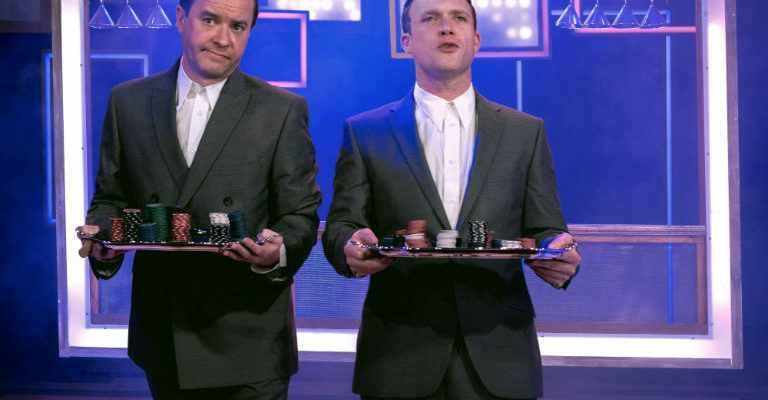 Still The Greatest Entertainer – In His Price Range is performed and written by Brian Conley and presented by Chris Wood for Stokewood Productions Ltd, Tour Manager and Sound Engineer is Gareth Hopwood.